Bulova 1972 Accutron Mini "Q"
any assistance in identifying would be greatly appreciated; this watch belonged to a family member. Hello queue, welcome to myBulova, this is a nice little ladies Accutron. 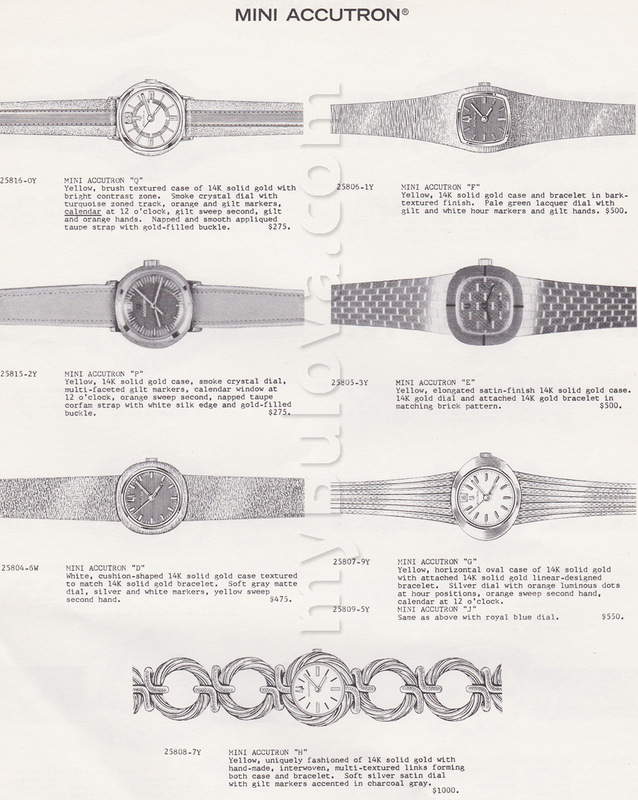 We have several adverts for 1972 'Mini Accutron" watches that I've gone back to several times this week. This is one and this is the other. I think I've tentatively settled on the second advert, upper left watch - Mini Accutron Q as the ID for yours. There are a couple differences I note, specifically the reference to the orange hand color and the turquoise track so I will will make my ID 'tentative' (in other words I'm not 100% certain). Thanks for sharing it! It sure does resemble the 'Q' variant, but does not have the color accents for this variant. I am good with Mini Accutron, tentative 'Q'. Hello and welcome to mybulova! I too looked through the ads and agree with Geoff on this being closest to a Mini Accutron Q.
I am also good with 1972 Mini Accutron - Tentative"Q". Cool watch, welcome to mybulova!